Guide Hendri Coetzee was not able to finish the expedition. He was eaten alive. African river kayaking is a sport that still lags in popularity. A white water kayak expedition was cancelled this week after the guide was eaten by a crocodile. The tourists were flown home after the mishap on the Lukuga River. 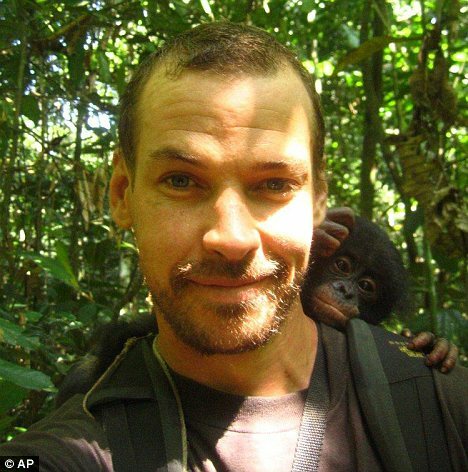 An acclaimed South African outdoorsman who was leading a kayaking expedition from the source of the White Nile into Congo was dragged from his craft by a crocodile as two Americans watched, horrified. The guide is presumed dead. The two Americans paddled to safety after the Tuesday morning attack on the Lukuga River in Congo. The International Rescue Committee helped evacuate the Americans to a nearby town after Tuesday’s attack, said Ciaran Donnelly, the organization’s regional director in the Central African country. The two Americans — Ben Stookesberry and Chris Korbulic — were “physically unharmed, but shaken up by the incident,” Mr. Donnelly said Thursday. They are currently in Congo, but expect to return home to the U.S. shortly. Mr. Korbulic is from Rogue River, Ore., and Mr. Stookesberry is from Mount Shasta, Calif.
Hendri had a blog The Great White Explorer where he wrote about his experiences.